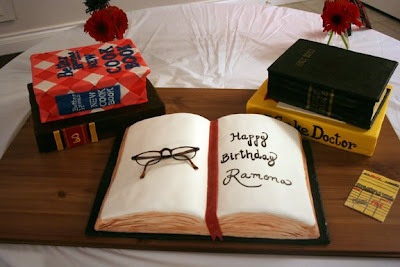 This cake was made for my MIL, Ramona, for her 60th birthday! My FIL decide to throw her a huge surprise party (or have us throw her, rather) and we took on the task of making her this giant cake! She has her master's in library sciences and works for the Hurst Public Library so the book theme seemed natural. 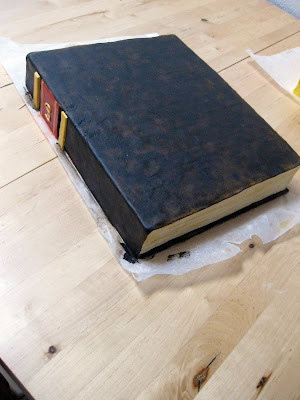 I had been wanting to make her a book cake for a while and this was the perfect opportunity! 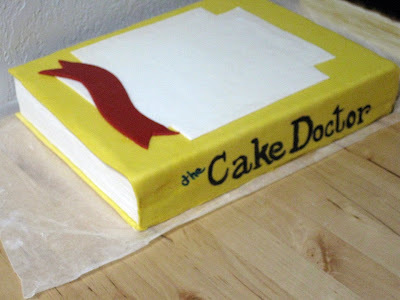 This cake turned out exactly how I wanted it to! It was LABOR intensive - we worked on it every day for a week, staying up until 4 am or later some nights but it was definitely worth it!! WOW!!! You did such a fabulous job! 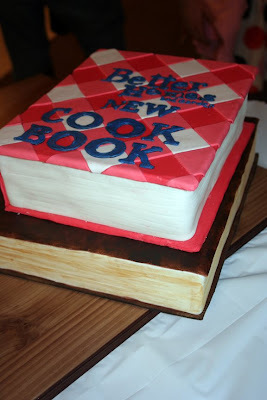 Abigail thought the cookbook was real! You have out done yurself this time... may take you a whle to recover from all the extensive labor involved! 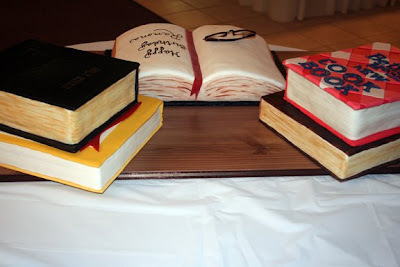 Those book cakes are so great!!! 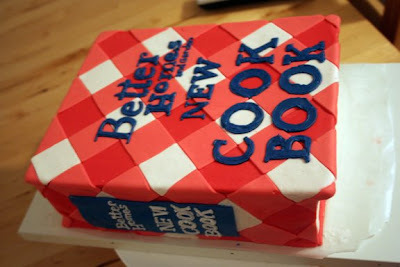 Wow...this cake display is absolutely amazing!!! 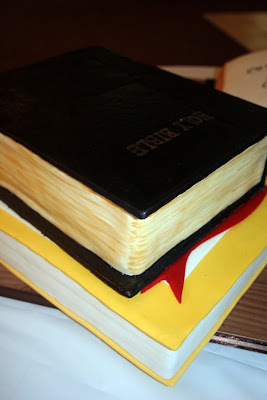 I have been researching 'book' cakes and this popped up...I am in awe! Great job!!! Love it! My librarian mom is retiring in July. 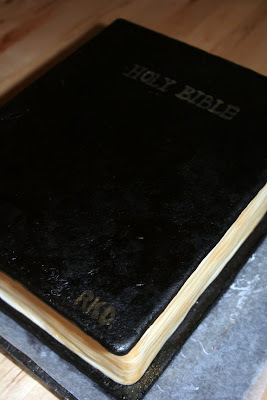 I will use the wood slab/desktop idea when I make her stack of books cake.